Revered as “liquid gold” and bathed in history, olive oil has long since been far more than a culinary staple. 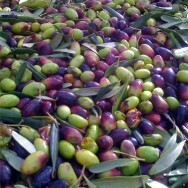 In the mediterranean its production and consumption has been a way of life. At Zara’s our selection of premium quality extra virgin olive oils, representing Italy, Greece, France, Turkey, Portugal and Spain, is as varied in flavour as the countries they come from. Fruity, buttery, peppery or herbaceous, this multi-faceted culinary ingredient is a “can’t-live-without-it” staple in our kitchen and should be in yours.